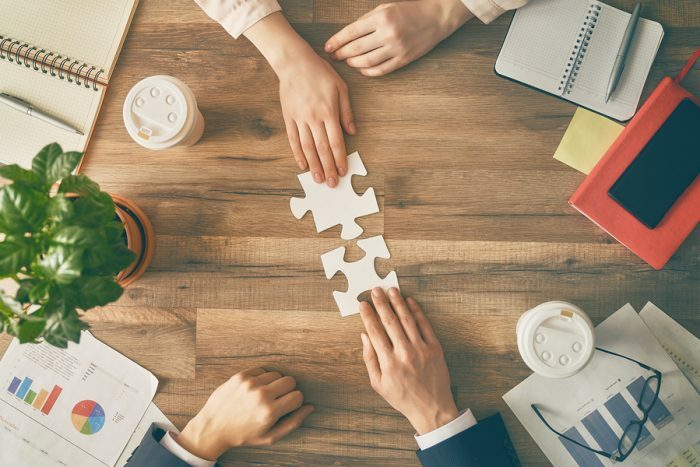 There’s been plenty written on the differences between the “people side” and the “numbers side” of business, and yet organizations with a high level of collaboration between HR and finance departments perform better. While many in the C-suite still see HR as transactional – the team tasked with managing benefits and tracking compliance training – the relationship between the chief financial officer (CFO) and chief human resource officer (CHRO) has become more collaborative. In today’s competitive and technology-driven global business climate, financial and human capital strategy are increasingly interlinked. And the truth is, the CFO and CHRO have a lot more in common than conventional wisdom would you think. The CFO and CHRO see the big picture of business as a whole, yet their individual lens on the factors and dependencies that impact success are often different. Although the CFO is typically more centrally involved with identifying and implementing key strategic initiatives, the CHRO understands implicitly how to support and facilitate the design and maintenance of those strategies. The CHRO firmly holds the role of steward of an organization’s integrity and accountability throughout the organization, and acts as the steward of the organization’s ethics and culture. The CFO is more focused on conformance and performance as it relates to legal and regulatory issues. However, both must ensure the highest levels of ethical integrity. From governance and financial controls to values alignment and employment standards, they share internal compliance responsibilities. CHROs inspire their staff and executives to pursue and support strategic vision and goals. The CFO facilitates all parts of that vision and tracks the goals. When working together, the CFO and CHRO create a web of excitement and engagement for the plan. Being a strong business partner requires CFOs and CHROs to have a solid grasp on the external and internal business environment. This means understanding the complexities and challenges faced by various business functions, as well as by the organization as a whole. Together they should use their keen focus on performance management, measurement and analysis to drive business outcomes. Domain expertise is as critical to HR as it is to finance. Neither leader has earned their position simply because of technical knowledge or what they know. Rather, their leadership and influence are based in part on their behavioral competencies (how they apply what they know), which contribute to establishing an effective finance or HR practice. The most successful CFOs and CHROs advocate for their professions, develop talent within their respective organizations, and build a culture of excellence within their own teams. With a clear picture of this common ground, HR has an unprecedented opportunity to create an even stronger internal partnership with finance when it comes to securing buy-in for talent programs. The critical first step is to align these initiatives with the organization’s strategic priorities and then prove the financial business impact. By quantifying the problem and the solution, you will be speaking the same language as your CFO. For example, talent management programs often (unfairly) get a bad rap because they are perceived as only impacting “soft skills.” But even talent programs that support soft skills can have a measurable business impact. Improving employee satisfaction means fewer customer complaints, resulting in higher customer satisfaction. This can be measured through client retention, which in turn directly impacts revenue. To make the connection between financial and human capital strategy, you must first understand the way your organization’s executives view the world and do your homework to give clear, concrete recommendations they simply can’t ignore. Effective collaboration between you and your CFO is a critical starting point that can help both functions deliver better organizational performance. Pete Low is CFO for Saba Software overseeing the company’s finance, legal, information technology, corporate alliances and security, risk and compliance functions. Prior to his appointment to Saba, Pete served as CFO of Halogen Software for over a decade. Pete is a Chartered Professional Accountant and holds a Bachelor of Commerce degree from Mount Allison University. He also holds the ICD.D designation from the Institute of Corporate Directors.